Please read some of the comments from our graduates. 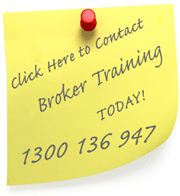 Since commencing our dedicated broker training program, we have had over 2650 students complete our courses. Here are some of their comments about their experiences.